Apple Watch Series 4 will be the biggest Apple Watch to date. A huge Apple leak has today confirmed all kinds of juicy details about its new products hours before their official unveiling — including the sizes of the new Apple Watch. It’s bad news for those who were big fans of the 38mm model. Tim Cook hasn’t gotten anywhere near the stage of the Steve Jobs Theater yet, and we already know the names and color options for the new iPhone Xs, iPhone Xs Max, and iPhone Xr that will be unveiled later today. That’s thanks to a huge Apple leak that reveals details on every product available in the Apple Online Store — including those that will be added today. Here’s what it tells us about Apple Watch Series 4. Apple Watch Series 4 will seemingly be available in 40mm and 44mm sizes. This means they’ll be slightly bigger than the 38mm and 42mm models that Apple has been offering since the Apple Watch made its debut in 2014. 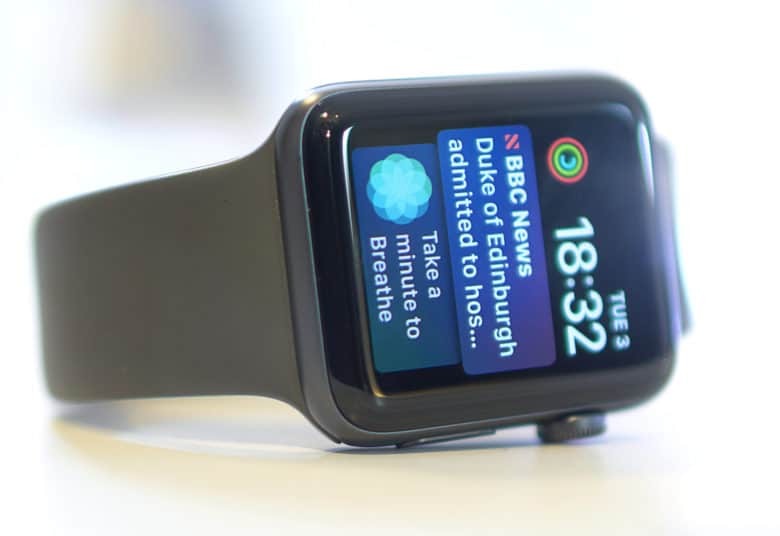 The new wearables are also expected to offer larger, edge-to-edge displays that make room for bigger faces and more complications. Apple Watch Series 3 is expected to remain available after Series 4 goes on sale. This will provide fans with a more affordable alternative to the latest models, and it means the 38mm and 42mm options won’t disappear completely just yet. All of this will be made official during today’s big Apple keynote, which kicks off at 10 a.m. PT. You’ll be able to watch the whole thing live, or you can keep up with our live blog here on Cult of Mac. We’re expecting lots of exciting announcements during the event, but sadly, it looks like we’ll have to wait longer for the rumored Mac mini Pro, affordable MacBook, or upgraded iPad Pro will be arriving today.